Sofio G. Trujillo passed away from this world into the hands of our Lord and Savior on Thursday, August 23, 2018 surrounded by his loving family. 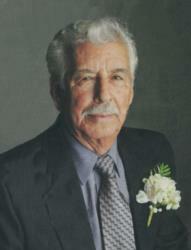 He was born on August 23, 1930 in Cuchillo, New Mexico to Jose Hilario Trujillo and Clarita Garcia Trujillo. He is survived by his wife of 54 years, Flora; 5 children: Rose Vigil (William Himes), Lorraine Daugherty (Shane), Carrie Hearn (Donald), Gary Trujillo (Lisa) and Earl Trujillo; 13 grandchildren: Ryan Himes, Lucas, Zachary and Pilar Daugherty, Taylor and Raegan Hearn, Nicole, Jessica, Alyssa, Michael, Samantha, Megan and Justin Trujillo; 12 Great- grandchildren: Dominic, Bryson, Aryanna, Rayisa and Ava Grace Daugherty, Grady Burns, Braxton and Jase Brown, Aubrianna and Xavier Rojas and Gabriel and Graysen Trujillo; brother, Don Trujillo (Vernel); and two sister in laws: Delfina Trujillo and Pat Reed. He was preceded in death by his parents; grandson, Kyle Christopher Hearn and two brothers: Max and Alex Trujillo. A Prayer Vigil will be recited at Our Lady of Perpetual Help Catholic Church on Sunday, August 26, 2018 at 6:00 P.M led by Ricky Sedillo. A Mass of Christian Burial will be on Monday, August 27, 2018 at 10:00 A.M. celebrated by Rev. 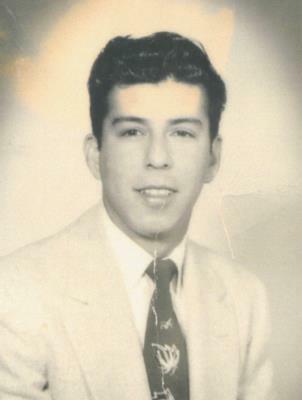 Marcos O. Reyna. Rite of Committal will follow at Vista Memory Gardens Cemetery. Serving as Casket Bearers will be Lucas Daugherty, Zachary Daugherty, Taylor Hearn, Nicole Trujillo, Michael Trujillo, and Justin Trujillo. Honorary Casket Bearers will be Raegan Hearn, Ryan Himes, Pilar Daugherty, Jessica Trujillo, Alyssa Trujillo, Samantha Trujillo, and Megan Trujillo. Don,, I am sorry to hear about you brother you & your family are in our prayers. Flora and family, sorry for your loss. Flora and your Family. God Bless You at this Difficult Time. So sorry tor your loss. Flora & family. So sorry to here about your loss. You are all in our prayers. Our deepest sympathy goes out to you Flora and the family. Sofio is at peace now. Our deepest sympathies to the Trujillo family. May God give you comfort and peace. Rest in Peace Sofio. We just returned home and heard of your loss. May God bless you and your family. Auntie Flora and everybody, I am so sorry!!! My prayers of comfort go out to all of you! God bless you all!! Uncle Sofio, thank you for always being there for me. I love you forever! May you walk along side of The Lord for eternity! !